Today’s guest post is brought to you courtesy of Jeremy Page, where he gives you the low-down on ways to use Facebook PPC effectively. I’ll be the first to admit I don’t know jack about PPC marketing and tend to stay away from it for that very reason. I’ve dabbled, but admittedly not very successfully! Heh. However that doesn’t mean it’s not useful for those of you interested in learning more about it and willing to risk a bit of your marketing dollars to do so. Tread carefully grasshoppers. Use your head and be frugal with your dollars. And make sure PPC is a good choice for your business and goals as well before diving off the deep end. OK So maybe that was a couple warnings. PPC takes time just like anything else in life…if it was easy every professional would quit their jobs and start doing PPC full time. 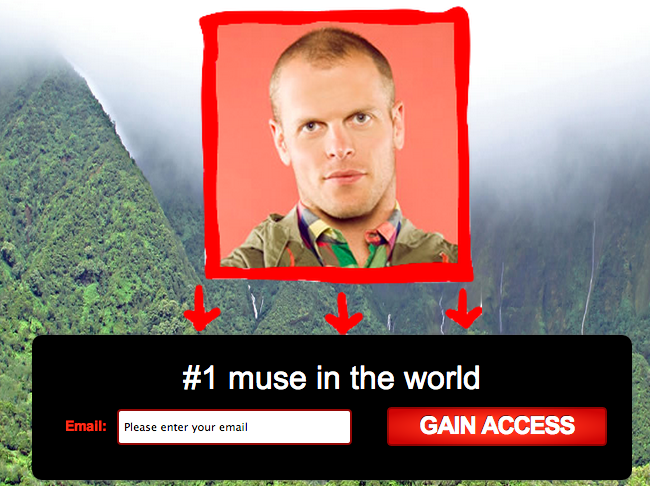 Here is the overview: You pay only when someone clicks on your ad and goes to the site that you have directed them to. This can be either your website or to a website you are affiliated with. The advantage of pay per click advertising is that you do not need a website, and this is an ideal way for online money making newbies to start to earn money without a major investment. The reason why pay per click adverting is so economical is that you only pay for actual clicks on your ads. Pay per click internet advertising lists ads according to the amount bid for the keywords used in the ad. Accordingly, to have an ad ranked high, the amount bid for its keywords must be relatively high. Google Adwords and Yahoo Search Marketing are the two most popular PPC programs on the net, however their “sweet spot days” are over. I personally have found more success with Facebook PPC, as it is still in its infancy stages, and you can generally get a better deal off of the clicks. Another advantage of Pay per Click programs is that you can constantly monitor the progress of your ads, edit your keywords, change the bids on your keywords, and change the daily budget. This can be done anytime and any number of times. If you find your ads are not working for you, you can pause the ad, change it or simply delete it. Before you actually launch a pay per click advertising campaign, you need to check out your competition. Your competitor’s ads will give you a good idea as to how to structure your own ads and what keywords they are using to get a high converting ad…and the pictures that convert well. For example, I ran a dating campaign a couple weeks ago. So what did I do? I used a picture that Match.com had run for several weeks. It’s probably is a high converting image. I made over $80 a day for a week with that image. Simple stuff. Also…make out your own list of keywords with which you want to link your product. A useful tip is to go to Google’s Wordtracker to check out your keywords and key work phrases. You can find it by going to Google’s Adwords. You can also get the KEI (Keyword Effectiveness Index) here which will allow you to determine the the best key words and key word phrases for your niche. This is a very effective tool to determine the competition for keywords and gives you a good idea as to which keywords to bid for to get targeted audience to click your ads at an economical price. Did you know that you could still help your offline business grow through PPC? You don’t even need a website, although a simple one would help. Next, go to Fiverr and buy a bunch of likes. This is a little gray-hat, but it works for “social cred”. Instantly, you have a few thousand followers, so it appears that your page has been up for awhile. Finally, start a simple Facebook PPC ad, pointing back to your Facebook fan page. You can specify the market you are going after by tiny niches, countries, and languages, even cities. It is very targeted traffic. You want to tell your traffic to do something. This is the call-to-action, and this is what makes your business money. 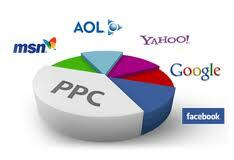 PPC advertising allows you to test market your future campaigns. If you intend to launch a full fledged website , Pay per Click advertising allows you to test the waters. You can analyze your keywords and find out which works best. You can also test viability of the products for which you are an affiliate of or thinking of becoming. Pay per click advertising not only helps you to earn money but can also be a very effective marketing and information tool for your future businesses. You can thrive doing PPC — without a website. The solution? Many people are utilizing PPC methods on affiliate networks such as Clickbank and Empower Network. I personally quit my job at a large SEO agency in Utah a few months ago to do affiliate marketing with Empower Network full-time. Now I travel the world, and live on the beaches of El Salvador. The vast majority of my paid marketing strategy is Facebook PPC. Most people will say that Facebook doesn’t approve affiliate marketing offers for their advertising — and they are right. However, you can get around this by setting up an iframe tab on your Facebook page…and then point your ad to that Facebook tab. I was doing all of this from the beaches of El Salvador. And I ended up making around $280 a day over a two week span running this ad. Will it always be high converting? Of course not. Treat this like a business. Run 10 different ads, and find the 1-2 that are profitable. Make tweaks and scale it up. Good luck…and may 2013 bring you high converting PPC campaigns that bring you business and revenue. Like this post? Please share it using the share buttons floating off the left. BGB thanks you. And feel free to drop any comments in the comment section below if you have questions. My name is Jeremy Page -- I guess you could say I am an 'SEO professional turned internet entrepreneur'. I spent two years at a large SEO firm before recently becoming self-employed. I currently live in El Tunco, El Salvador where I work from my laptop, surf (rookie, of course) and speak Spanish (trying). Previous post: Don’t Make Costly Assumptions – Ask Your Customers!